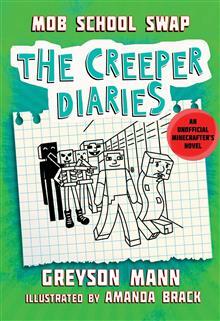 A cross-cultural adventure featuring the hilarious underdog narrator every Minecrafter can relate to! Greyson Mann is the author of the Creeper Diaries series and the Secrets of an Overworld Survivor series from Sky Pony Press. He kept diaries like Gerald's when he was a middle schooler. He kept right on writing through high school and college and now creates books for kids from his home in Madison, Wisconsin. Greyson enjoys playing Minecraft with his nephew, sometimes writes bad rap songs, and hangs out with his three sisters, whom he now adores. 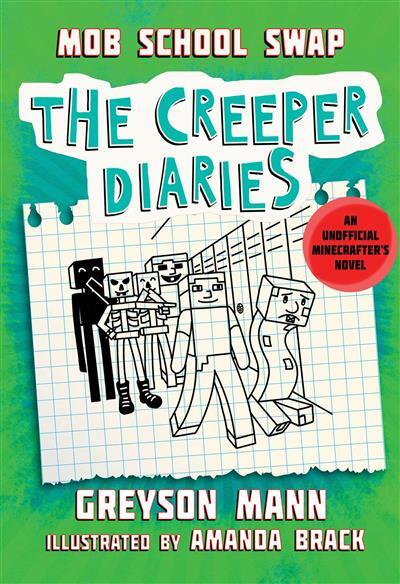 Amanda Brack is the illustrator of the Creeper Diaries series and the Jokes for Minecrafters series from Sky Pony Press. She has a passion for drawing and illustration and enjoys the creativity of working on a wide variety of projects in her freelance career. She currently lives in Boston, Massachusetts.